Lowepro has been helping photographers explore the world and capture life for over 50 years. Discover their latest bag ranges here. For over 50 years, Lowepro’s specialised backpacks, cases, and camera bags have played an essential role in countless adventures through a wide range of climates and conditions. Thanks to its ingenious designs, it has enabled photographers, videographers, and content creators to explore the world and capture life. 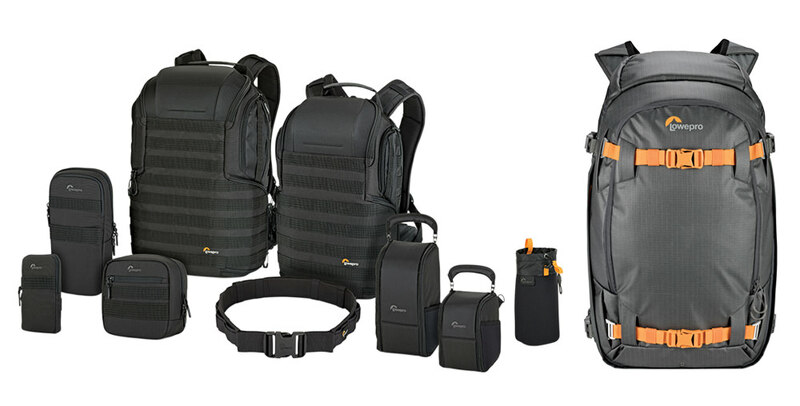 With the world’s photographers and leading content creators expecting more from their camera bags, Lowepro has launched four main collections, including two featuring a completely new design. Let’s introduce you to them! First up is the brand new backpack series the FreeLine – it’s a versatile premium outdoor daypack that offers content creators an easily adaptable modular solution for their day to day needs, whether it’s an urban commute or an on the go assignment. The FreeLine is the first Lowepro backpack to feature the revolutionary QuickShelf™ Divider System – a removable divider system that unfolds into a 3-tier shelf or folds flat for removal, revealing an open interior space that includes pop-in lateral dividers allowing for quick, fully customisable and wholly protected array of gear sets including multiple mirrorless bodies and lenses; full-frame DSLR with mounted 70-200mm f2.8 lens and additional lenses, compact drones and more. While protection of the photography gear is first and foremost to all bags engineered by Lowepro, it’s also apparent that today’s content creators carry much more and therefore ease of access to gear within the backpacks is essential. With that in mind the new FreeLine has dual side access panels and an integrated Gear Box, which is also customisable for storage of the small items, such as cords, cables, batteries and more. This backpack, available in black or grey colours is the first in a collection of innovative bags intended to organise and protect the tools that capture the vision of content creators, wherever they go, leaving them free to focus on the big picture. The second brand new range is the Powder series, this is one for the outdoor and extreme sports photographers and content creators. It’s a collection that combines the features of ski and snowboard packs with the extreme performance and durability of Lowepro photo backpacks for the wildest photographic adventures on the most remote mountain terrains. Powder strikes the perfect balance between lightweight performance, secure camera carry and winter oriented backcountry gear. While on the powdery terrain of the mountain slopes, Lowepro knows that while the camera captures the magnificent views, content creators still need to carry essential safety equipment. With approximately 50L total volume, the Powder collection has a 50/50 storage split, so while half is protecting your camera and photography equipment, the other 50% of interior space is dedicated to non-camera storage for items like avalanche shovel or avalanche probe. Its ski/snowboard carrying system (recommended for both A-frame and cross/diagonal carry) fits skis up to 120mm wide and there’s shock cord holders for ski poles, or an ice axe or probe as well. In addition, there’s still room for a tripod, and an interior, removable soft box for additional clothes, food or other small items. All the new collections from Lowepro offer either the CradleFit™ or secure pockets for a laptop and offer the All Weather cover for additional adverse weather protection. 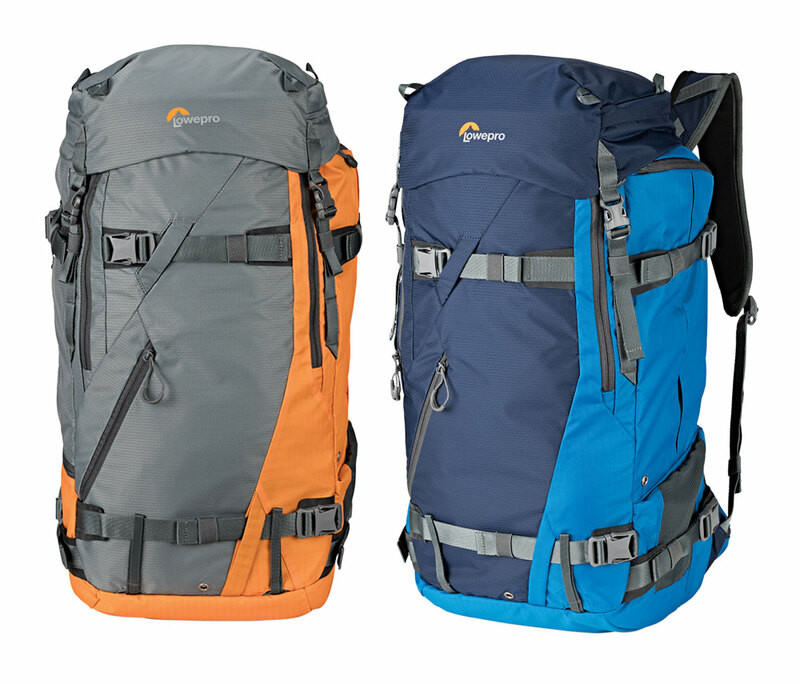 While the FreeLine and Powder are brand new designs and ranges, Lowepro is also adding to its popular outdoor and adventure ranges by launching new editions of its two bestsellers - the Whistler and ProTactic ranges, with upgraded design, more interior space and more adaptive divider systems. The Whistler’s versatile line, originally created for extreme conditions, has been updated to meet the needs of wilderness photographers and adventurers carrying equal parts camera, video and functional outdoor gear. With a 20% increase in cargo space, which now holds three lenses, new dual density harness for comfort plus extra-protective design and fabrics, photographers and videographers will be able to securely carry an array of imaging and outdoor gear through any climate or condition. The updated Whistler series includes two backpacks featuring top and body-side camera access with extreme weather and abrasion protection through strategic design, robust fabrics, CradleFit™ suspension for laptop protection and an All Weather cover. Rigid internal structure with durable attachment options supports heavy gear like skis, tripod and more. 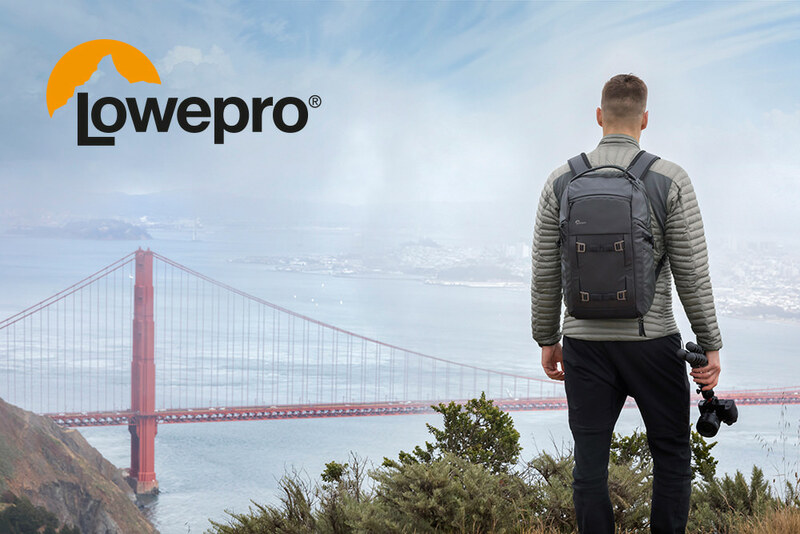 The ProTactic has long been a stable choice of backpack for photographers and content creators, it’s the number one best selling product range from Lowepro and it’s just got better with the announcement of the second generation of ProTactic backpacks. The high-performance, tactical-inspired collection has been redesigned for better organisation, access and protection, while staying true to the ProTactic promise of rugged versatility and armoured protection. The new line offers enhanced backpacks plus an expanded modular system and accessories. An additional two backpacks have been added to the range, which feature 4-Point access, FormShell technology, SlipLock compatible attachment loops, CradleFit laptop compartment, ActivZone back panel and All Weather AW Cover. They also include a utility pouch, water bottle holder, tripod cup and two QuickStraps. 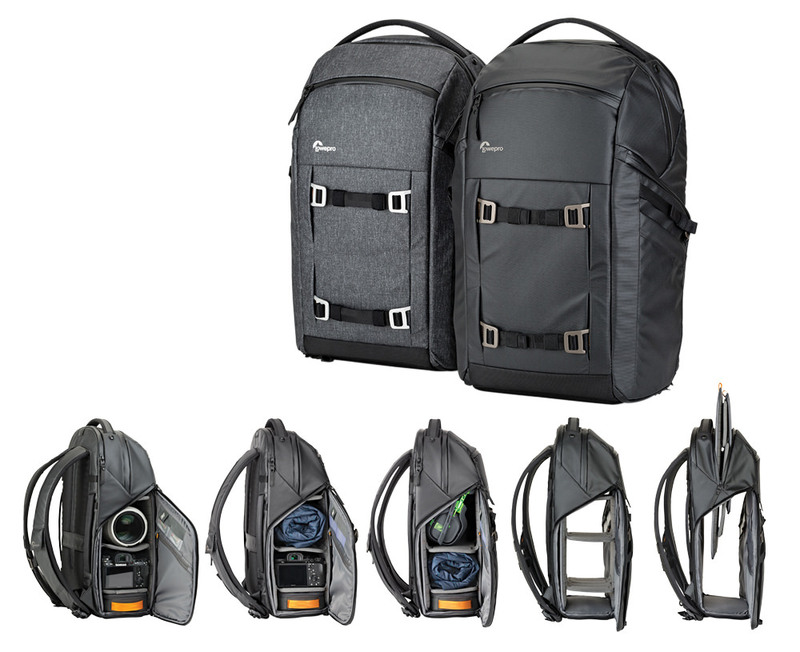 ProTactic backpacks offer all you need in a camera equipment bag for the outdoors. However, there’s even more in the Lowepro second generation ProTactic range, including lens cases, utility bags, pouches and extra quick straps. With the introduction of these four new collections from Lowepro it’s easy to see that the organisation is still 100% focusses on giving photographers, whether they’re professional or amateur the very best in protection and safety for their equipment, while also offering functional features for additional equipment, whether it’s a laptop, cables or batteries for content creation, or ski poles, skis, clothing or food. Lowepro’s constant persistent to deliver leading-edge backpacks, cases, pouches and more never wains and with 2019 on the horizon we’re excited to follow all the new developments from the organisation.